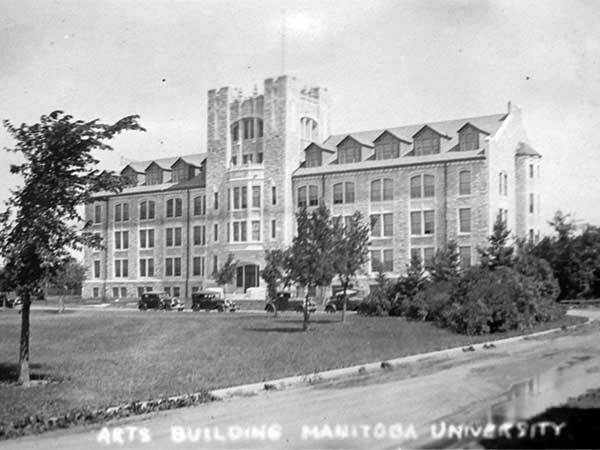 The Fort Garry Campus of the University of Manitoba contains several buildings that were once part of the Manitoba Agricultural College, which moved here from a site on Tuxedo Avenue in October 1913. Designed by Samuel Hooper in his capacity as Provincial Architect, after Hooper’s death in 1911, their completion was overseen by his successor, Victor Horwood. 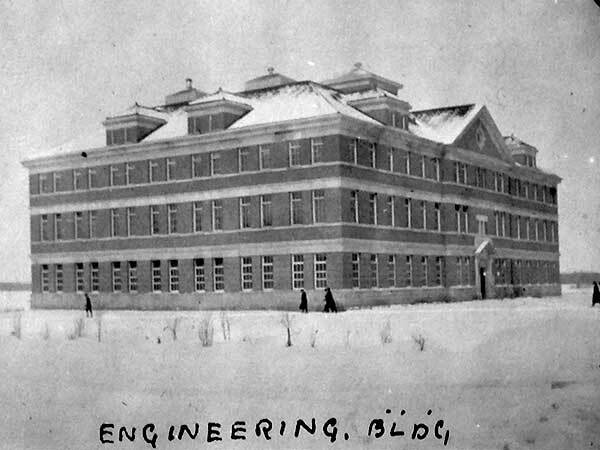 They include the Administration Building (1911-1913), Home Economics Building (1912), Tache Hall (1912), Agricultural Engineering Building (1912), Art School Barn (1912), President’s House (1912-1913), Earth Sciences Building (1913), Dairy Science Building (1913), and Agriculture Lecture Block (1913). 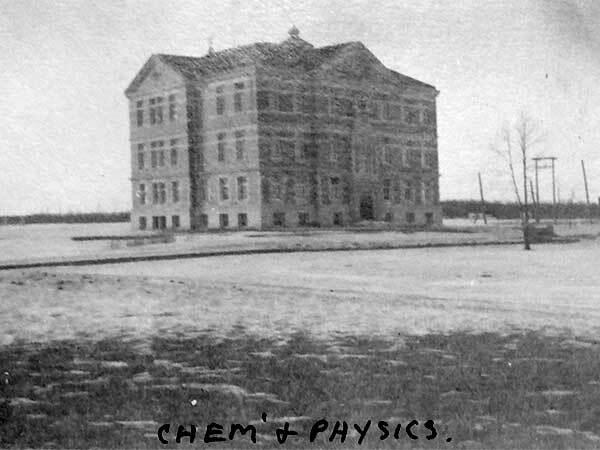 The College was integrated into the University in 1924. 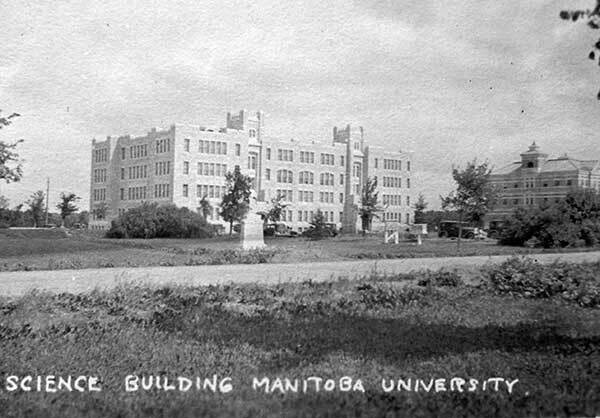 Later buildings added to the site, following its transition to University control, included the Tier Building (1932) and Buller Building (1932). 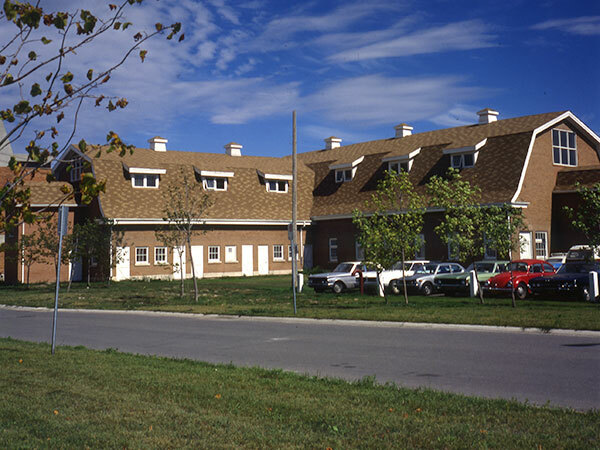 Around 1981, a barn on the campus was featured in a Manitoba Co-operator series on farm architecture. The original caption for the photograph is given below. This handsome 104-foot by 41-foot structure, designed under the direction of provincial architect V. W. Horwood and built in 1913, it is said to be one of very few remaining barns in the province that can claim to have been professionally designed. The red brick walls include a 60-foot by 36-foot wing. 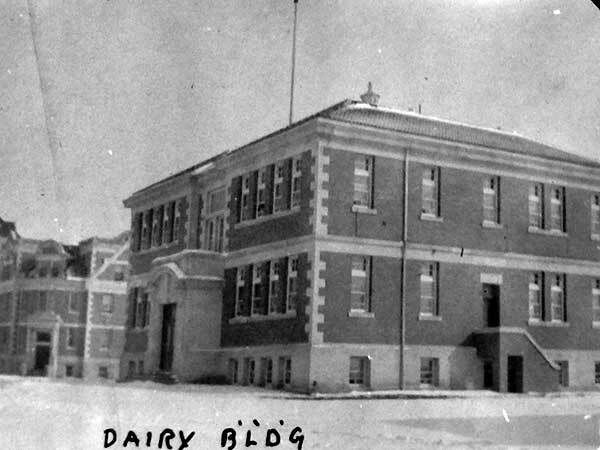 The overall barn was used mainly for dairy activities. 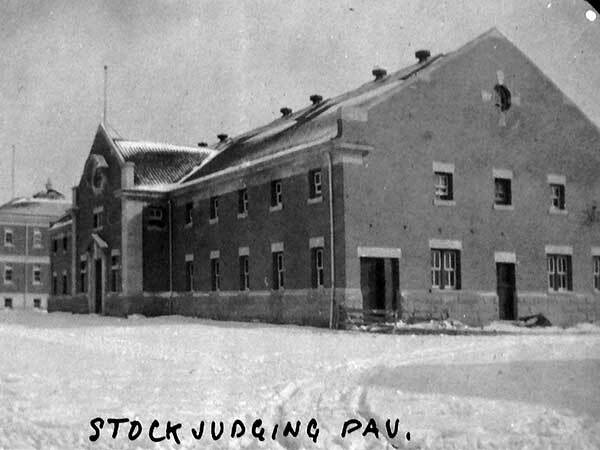 Later, the barn accommodated 32 milk cows in stanchions, plus pens for other livestock, and featured large 20-foot 8-inch by 8-inch vertical timbers in its main framing. However, like farming elsewhere, things have changed for this barn. In 1975 it was transferred to the Faculty of Arts, with renovations to the lower levels and exterior completed in 1975 and to the loft areas in 1977. It is now used for student fine arts labs and display areas. As of 2014, the barn is still in use. Instructors before 1913 are listed here. Source: Gordon Goldsborough, M. F. F. Burgess Collection. Source: Archives of Manitoba, George Harris Fonds, Acc. 1979-141, P7447, Album 4, Page 22. Source: Archives of Manitoba, George Harris Fonds, Acc. 1979-141, P7447, Album 2, Page 31. We thank Bob Hainstock and Ed Ledohowski for providing additional information used here.